When a parent passes away, his or her loved ones are often left with the enormous task of settling the affairs while still processing their grief. However, if that parent suffered from declining mental or physical health later in life, they may also find that the condition of his or her home has deteriorated greatly. While hoarding behaviors affect thousands of Americans, older people with health issues can be particularly susceptible. If you’ve discovered that your parent’s home is a much more serious project than you anticipated, consider seeking professional estate cleanout services, like those offered by Clutter & Hoarding Pros. 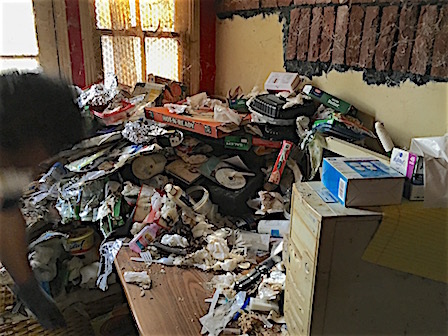 ​Unlike standard junk removal services, our team specializes in estate removal services in which we help cut through the mess and clutter to restore a property to livable or sellable conditions. We know that your family wants to recover precious mementos, valuables, and more. Rather than come in and empty the home, we take a layered, meticulous approach that respects the dignity of both your loved one and his or her possessions. We want to make this easy on your family and help you feel like you never have to bear any of this burden alone. Are there particular items you are looking for that you believe are in the home? Do you want some items to go to a local charity? Are you hoping to sell the home, and if so, will you be doing any remodeling or major improvements? Are you trying to salvage items to sell? If you and your siblings are struggling with where to start on your parent’s estate, let us show you how we can transform the home while salvaging whatever you family needs. Contact Clutter & Hoarding Pros and let us help you start on your journey to peace and healing.